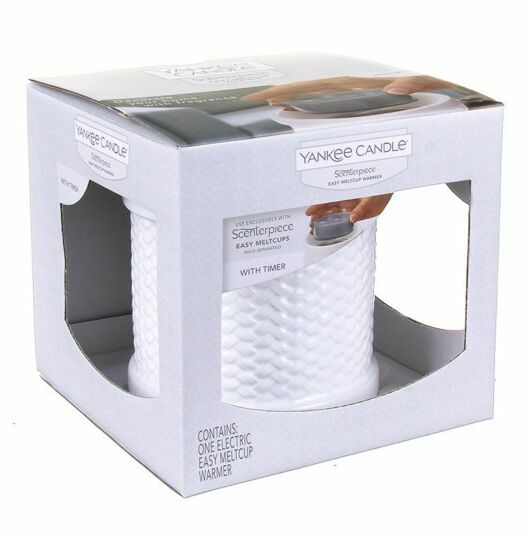 The White Weave Melt Warmer from Yankee Candle is the perfect way to release the aroma of your favourite wax melt into your home. The ceramic holder features a raised woven pattern and a broad lip at the top and bottom. 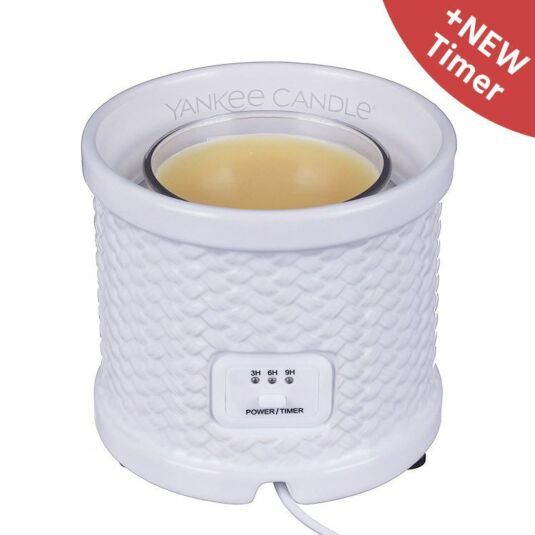 The clean, fresh look suits every style of home and the Melt Warmer is the perfect way to enjoy your favourite Yankee fragrances. Designed for use with Yankee Melt Cups, the Yankee Scenterpiece™ Melt Cup Warmer features a flameless heater that quickly melts wax. The heating dish is recessed within the holder which comes in a variety of designs. The Melt Cup Warmer is supplied with a six foot (1.8m) power cord which allows for flexible positioning around the home. 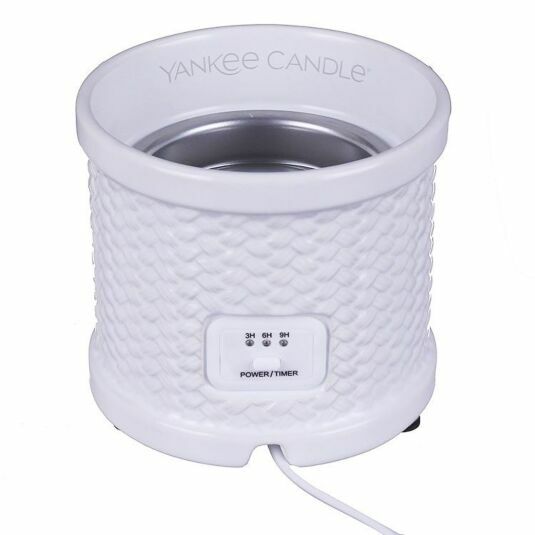 For safety purposes the Yankee Scenterpiece™ Melt Cup Warmer has an adjustable auto-shutoff timer which can be set for 3, 6 or 9 hours. Melt cups can be used for up to 24 hours of fragrance, so the maximum time will not use up an entire cup within its first burn. The Melt Cup Warmers feature a recessed metal heating chamber which means it is easy to change the fragrance without burning your fingers. Melt cups are available in all your favourite Yankee fragrances. They are supplied in wax-filled, heat resistant plastic cups, so you will never have to touch the hot wax or wait for it to cool, however, beware of the liquid nature of melted wax. Relax and enjoy your favourite Yankee aroma as it gently pervades your home, safely melting in an elegant Scenterpiece™ Melt Cup Warmer. The Scenterpiece™ Easy MeltCup Warmer creates a focal point in the living room, kitchen or wherever you prefer; it makes a perfect gift for a new home, a birthday or Christmas. Note: Easy MeltCups not included.